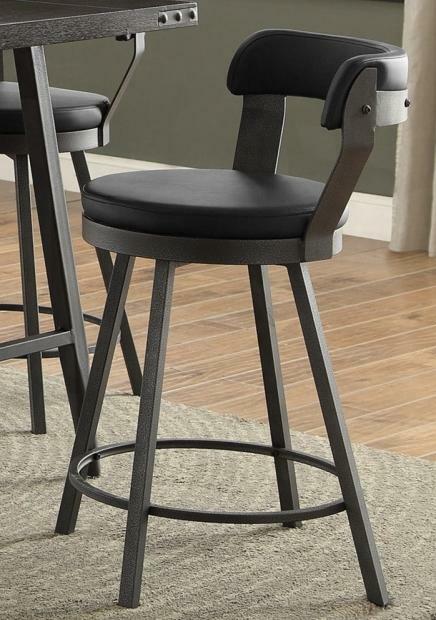 Perfectly styled for your dining room is the Appert Collection. 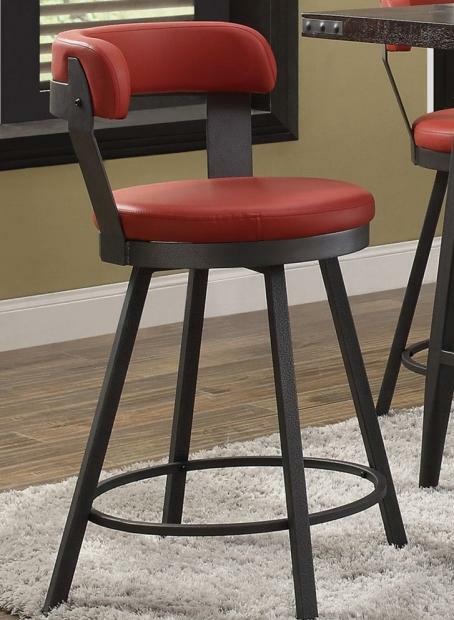 This counter height offering features a dark metal gray metal base with round seats and back supports of the chairs which are covered in black, brown, gray, red and white bi-cast vinyl options. 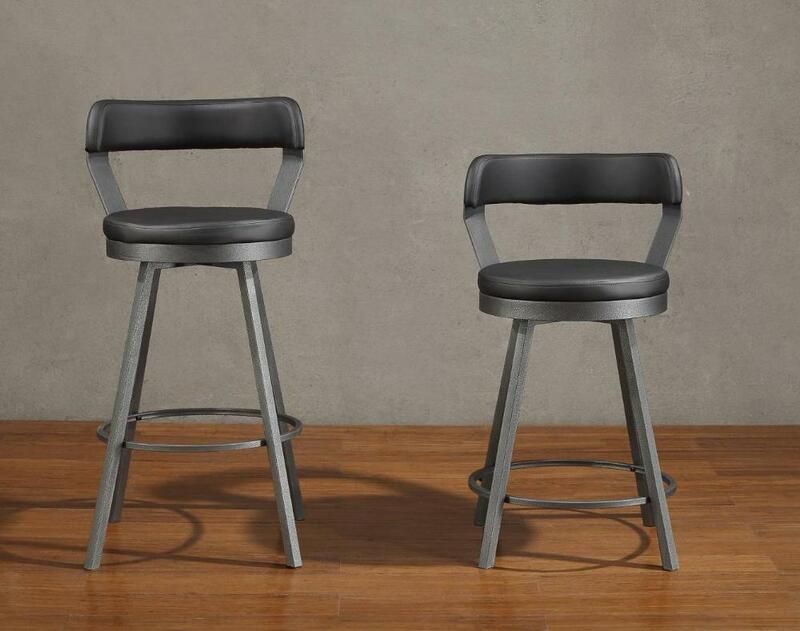 Each height and finish option sold in pairs only. 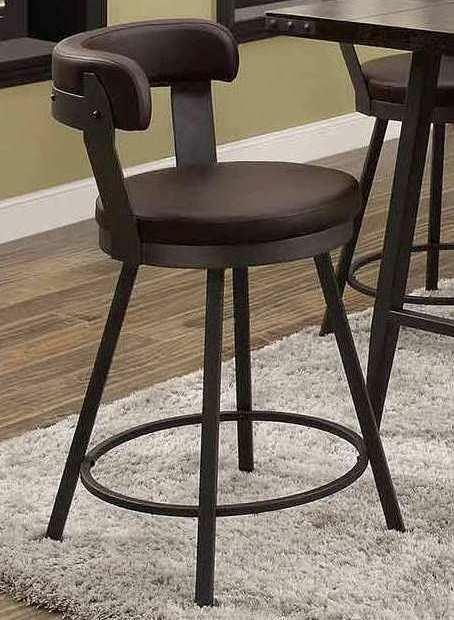 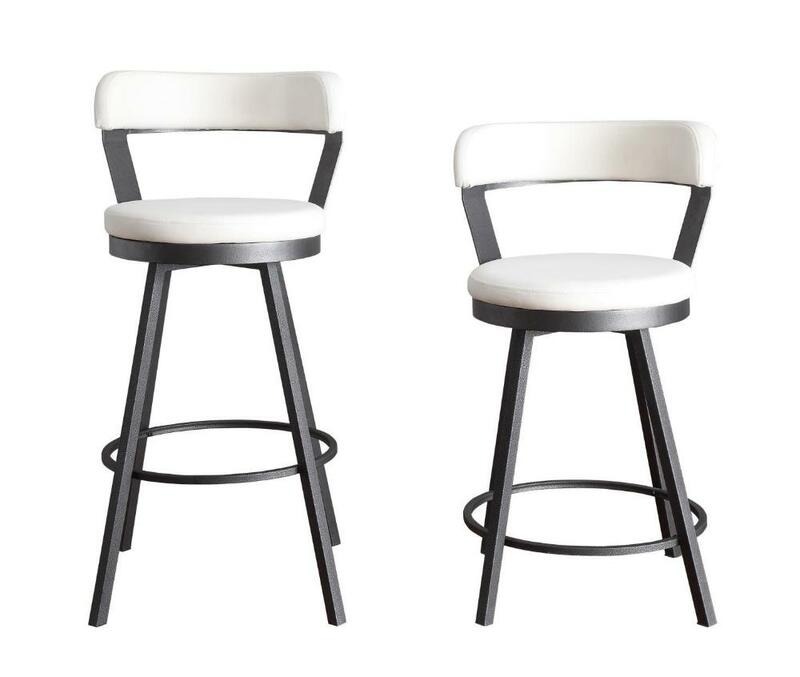 FEATURES: Black Metal Base Finish ~ Contemporary Style ~ Swivel Height Chairs / Pub Chairs Options ~ Black / Brown / Red / Gray / White Color Bi-Cast Vinyl Chair Options.